Aisha Yesufu, co-convener of the BringBackOurGirls, BBOG, advoacy group warned El-Rufai, saying that body bags already exist in APC government. 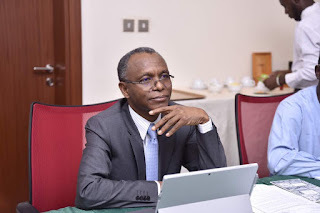 Aisha, on her Twitter page, wrote: “Dear Governor Nasir El Rufai, just so you know, nobody has the monopoly of violence! You keep waving violence at us as if you alone own it. You don’t!